Wilfred Bony and young Nigerian forward Kelechi Ihenacho are expected to star once again with Norwich City visiting the Etihad Stadium. Manchester City manager Manuel Pellegrini has backed the duo to once again fill in for the injured Sergio Aguero. Aguero injured his hamstring while on international duty with Argentina earlier this month and is expected to be out until early November. However, in the prolific striker’s absence, Bony has scored three times and young forward Iheanacho marked his first senior start with a goal in Wednesday’s 5-1 League Cup victory over Crystal Palace – somewhat ominous form for Norwich, beaten 7-0 at City in the corresponding fixture in November 2013. Pablo Zabaleta was withdrawn with a knee injury in the fourth-round win and is doubtful to be back this weekend, although David Silva could return from an ankle problem, with Pellegrini keen for his attacking players to make the most of Aguero’s absence again. 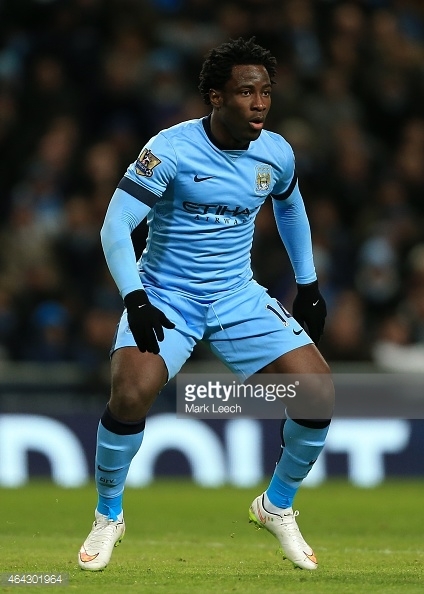 “I think in this moment it’s important for the team to have Kelechi and Bony as options without Kun,” he said. “They can play both together as they did [against Palace] – Bony played well, of course Kelechi was very impressive but Wilfried is quiet as he knows he has my trust and his team-mates’ trust. – Manchester City have lost just two of their 14 Premier League clashes with Norwich, winning seven and drawing five. – Kevin De Bruyne has had a hand in six goals in his six Premier League appearances this season, scoring three and assisting three). – Norwich City are the only side yet to keep a clean sheet in the Premier League this season. – Norwich players have scored a total of three own-goals in their last four top-tier clashes with Manchester City. – Norwich have now lost three in a row in the league – they last lost four consecutive league games back in April 2014. While the Premier League leaders, who are top on goal difference ahead of Arsenal, are unbeaten in six games across all competitions, Alex Neil’s Norwich have not won in the league since a 3-1 victory over AFC Bournemouth last month. Defeat on penalties at Everton in midweek in the League Cup made it four losses in a row for Norwich, who have taken nine points from their opening 10 league matches since returning to the top flight. Dieumerci Mbokani should return from illness for the trip to Manchester, Neil having rested a host of senior players for their cup defeat on Merseyside. “I thought all the boys that came in performed really well so that makes it difficult going forward,” the Norwich boss told the club’s official website. “Obviously Saturday is a different kettle of fish. We’ve got to make sure we balance that out come the weekend, but some of them will be vying for a place.